Gran Vía Don Diego Lopez de Haro, better known as simply Gran Vía, is one of Bilbao's main drags. The street begins at the famed Plaza Circular and runs northeast all the way to the Plaza del Sagrado Corazon. 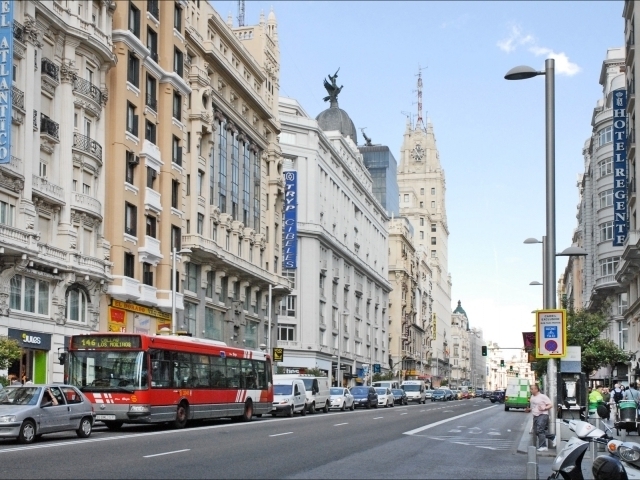 Gran Vía runs by many of the city's most famous attractions like the Plaza Moyua and the Palacio Chavarrí. A visit to the Gran Vía is almost impossible to miss during a trip to Bilbao.